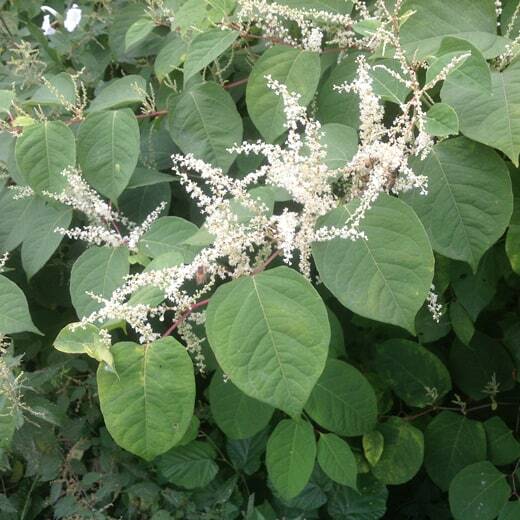 Japanese Knotweed is a highly invasive plant which can grow at speeds of 10cm a day. Its emerging shoots can quickly exploit weaknesses in brick, tarmac, and metal piping, causing costly damage to everything from buildings to roads, causing severe damage to building and garden structures. 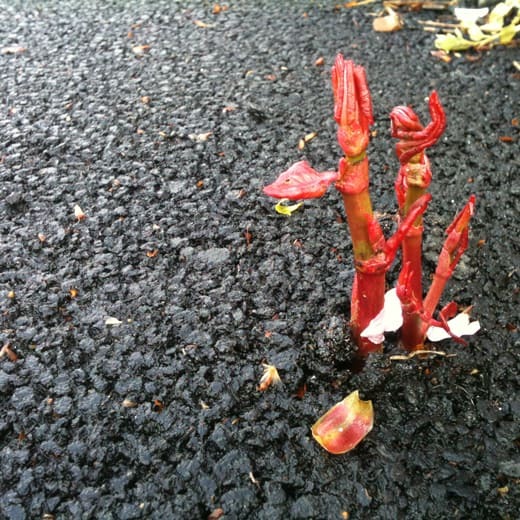 Japanese Knotweed buds in spring resemble small bright red buds, which will sprout from the crown of the plant. 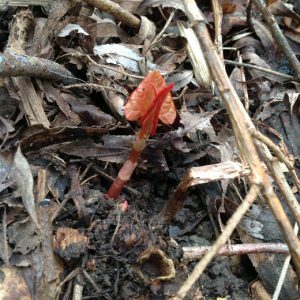 Japanese Knotweed shoots take the form of reddish-purple shoots sprouting from the ground. 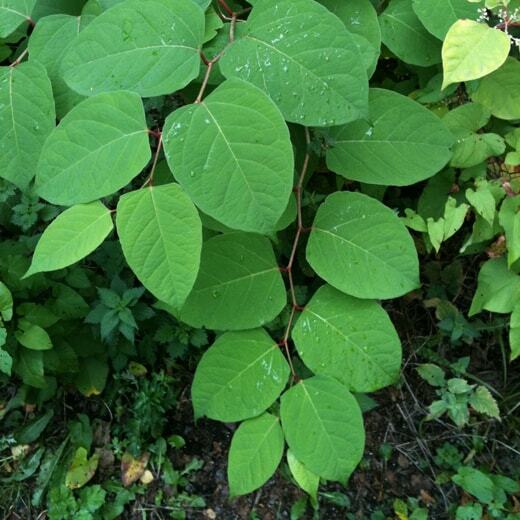 As we go into summer, Japanese Knotweed stems will grow into hollow reddish, green stems with deep green leaves. These stems can shoot up to three metres in height. 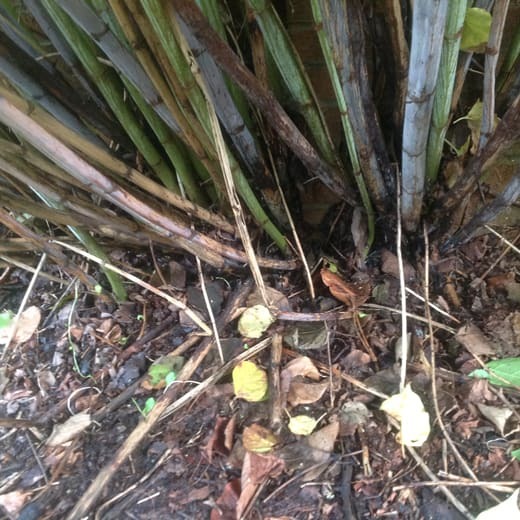 At this stage, they are often mistaken for bamboo, as the height and colour of the shoots can be similar in appearance. In summer leafy vegetation forms over the plants that are heart-shaped and bright green in colour, until they die in autumn. 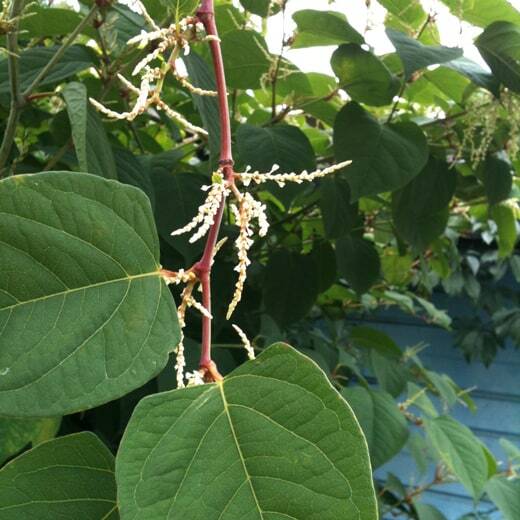 Sometimes small white Japanese Knotweed flowers that cluster together on the vines. By the end of the summer, those small shoots can reach up to 3 metres in height, with root systems up to 3 metres deep and 7 metres across. The plants foliage does die back in the winter, leaving brown brittle canes above ground which, over the coming years will break down. 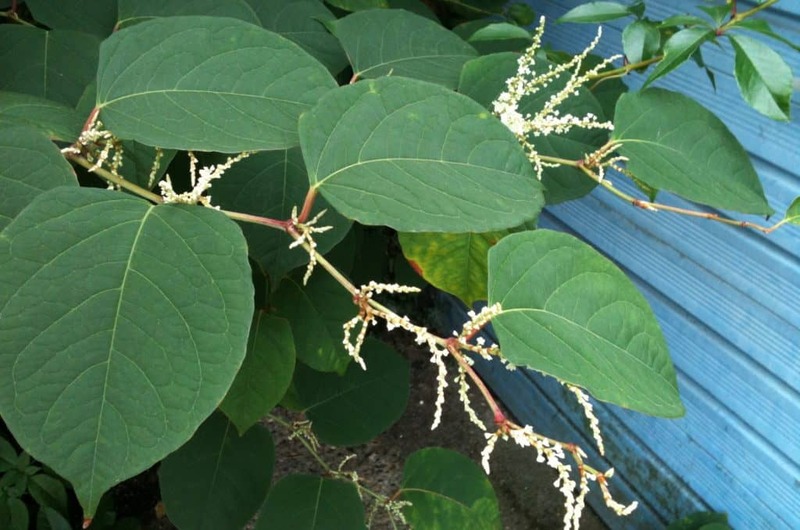 Still unsure if you have knotweed? 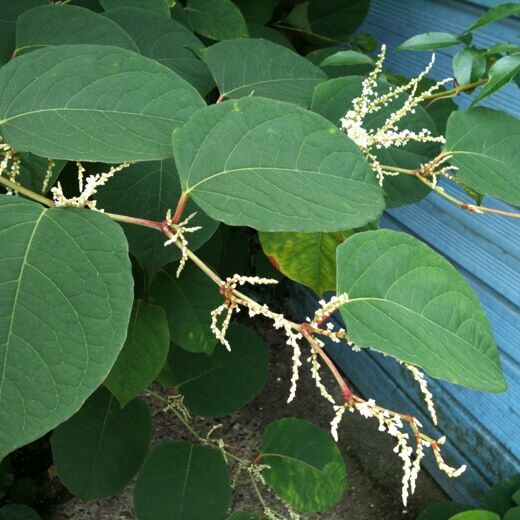 Japanese Knotweed can easily be commonly mistaken for other plants and it may not be obvious to you at first glance. So if you are still unsure how to recognise Japanese Knotweed, simply send us a photo and we will tell you if we believe you to have it. In spring, Japanese Knotweed is identifiable as red buds, emerging into new shoots. These shoots grow rapidly at speeds of up to 10cm a day. Early-growth leaves are red or light green in colour. 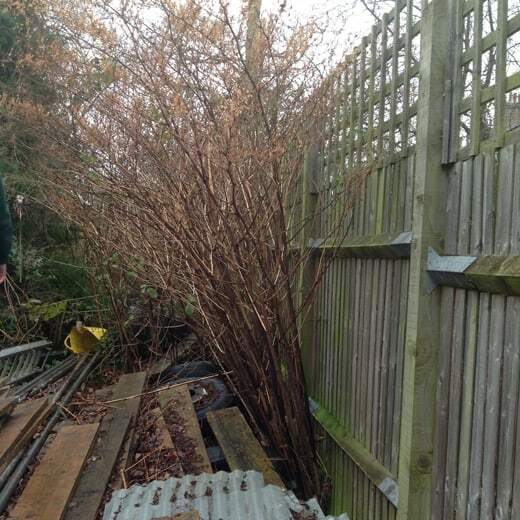 By the time summer hits, the Japanese Knotweed shoots can reach 2-3m tall. 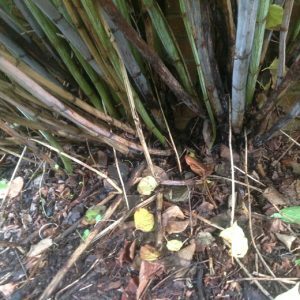 These stalks looks similar to bamboo and you’ll see purple and red speckles on its vivid green leaves. Towards the end of the season, the plant produces distinctive white flowers. Japanese Knotweed flowers last until late autumn, when they drop. 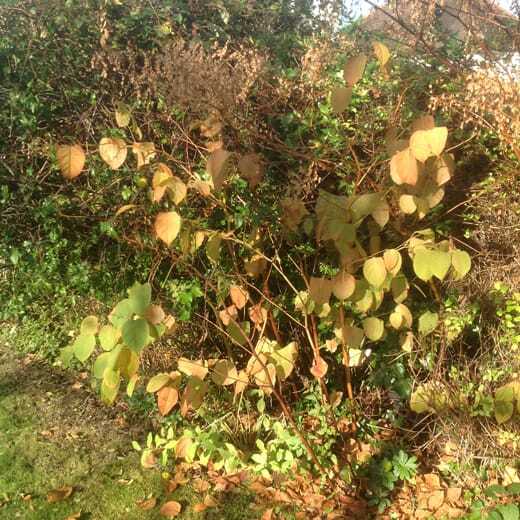 Leaves also start to yellow, then brown, before finally falling off, leaving tall clumps of hollow brown stems. 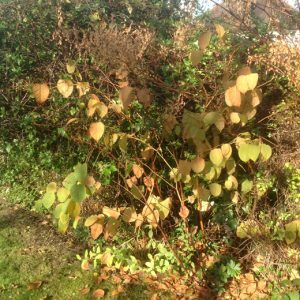 Japanese Knotweed identification in winter is more difficult. 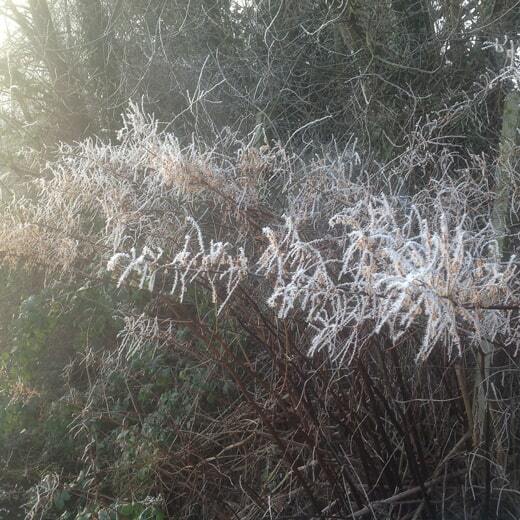 Foliage dies back in winter leaving brittle, brown canes above the ground that resemble dead bamboo. 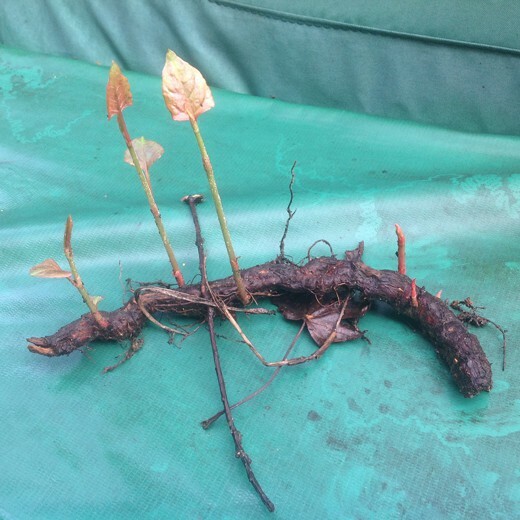 Although the hollow stems above the ground are dead, the widespread rhizome network that could be around 2m deep, beneath the ground is still alive and will begin growing Japanese Knotweed shoots again in spring. This is why simple “DIY removal” techniques fail to deal with the long term problem. 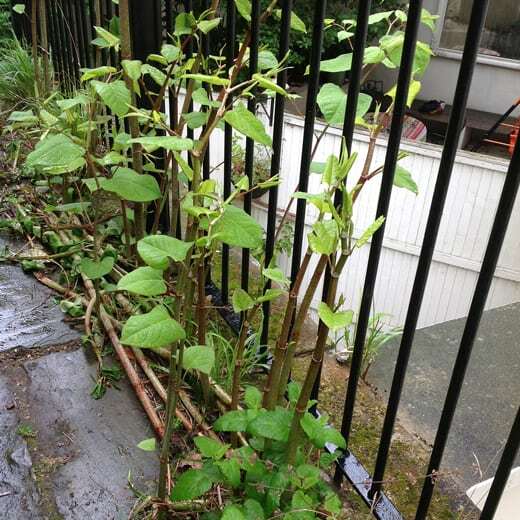 Japanese Knotweed’s destructive nature can result in costly damage to buildings and garden structures as well as preventing progress on projects and hindering house sales. Its ability to exploit existing weaknesses in properties as well as underground systems, walls and building foundations mean repair work can range into the thousands. 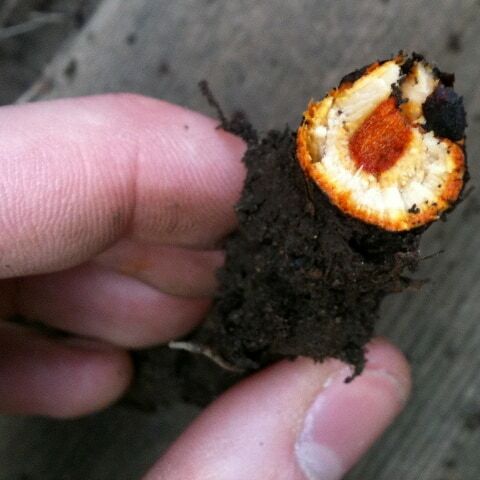 With its advanced root network, the rhizomes grow through any structure. Your mortgage and house price can also suffer. Can I remove Japanese Knotweed myself? 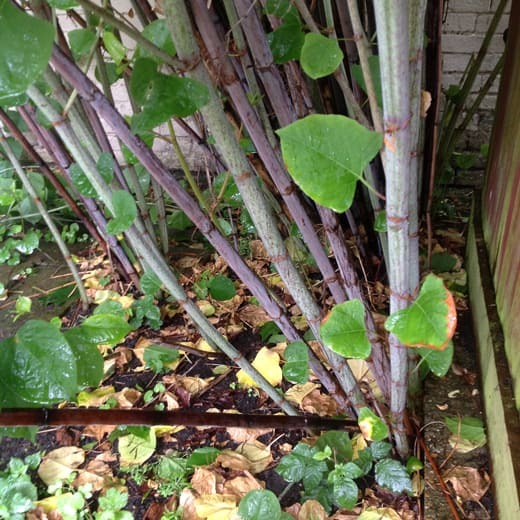 Japanese Knotweed can re-grow from cuttings as small as 2mm, meaning the smallest traces can lead to new growth. 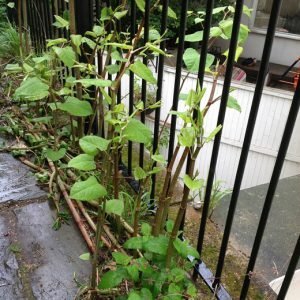 Because of this, Knotweed is classed as controlled waste and must be disposed of safely at a licensed landfill site according to the Environmental Protection Act (Duty of Care) Regulations 1991. The plant’s widespread rhizome network that could be around 2m deep and 7m in other directions, beneath the ground is still alive and will begin growing Japanese Knotweed shoots again in spring. It’s important to look out for specific characteristics for each season to know how to identify Japanese Knotweed to prevent unnecessary hold ups on buying or selling your home, or any commercial building projects. 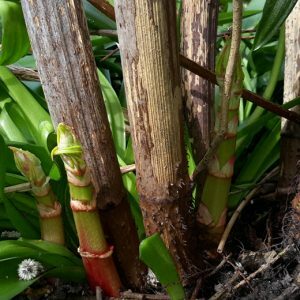 We’ve put together some Japanese Knotweed photos in our gallery above showing its various stages of growth.